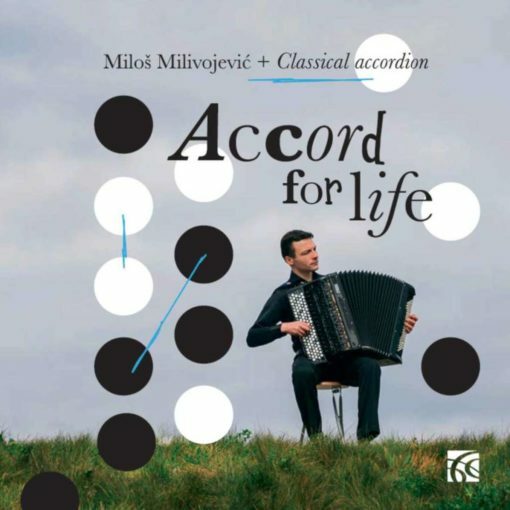 Miloš Milivojević – Accord for life – CD. A long-awaited first solo album by Miloš Milivojević, who was part of Owen Murray’s golden generation of accordion students at the Royal Academy of Music in the early 21st century, and it’s well worth the wait. 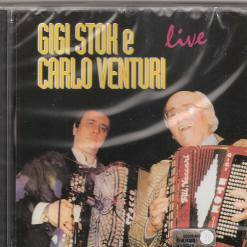 The album is beautifully recorded and played on Milivojević’s super Pigini Nova classical accordion. A long-awaited first solo album by Miloš Milivojević, who was part of Owen Murray’s golden generation of accordion students at the Royal Academy of Music in the early 21st century, and it’s well worth the wait. 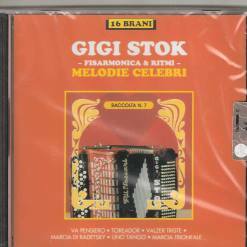 The album, on the Nimbus label is beautifully recorded and played on Milivojević’s super Pigini Nova classical accordion. 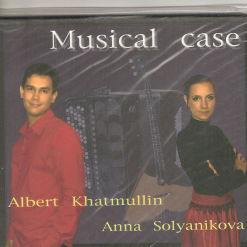 It is programmed much like a live concert taking us on a journey from the accordion’s popular transcription works of major Baroque composers like Bach and Scarlatti, rarer transcription works from the Romantic period with composers like Mendelssohn and Sarasate and then on to contemporary works by Vlasov, Angelis and Semenov. 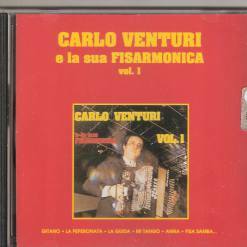 Scarlatti has become a staple composer for classical accordionists as the harpsichord music is easily translated onto the modern classical recording and, some would argue, enhanced by the accordions dynamic range which brings something fresh to this repertoire. 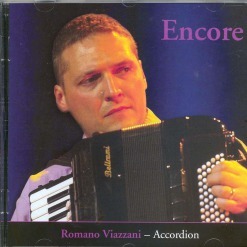 In the right acoustic, like a smaller church or concert hall, organ works can work well on the accordion and certainly better than say the more “chopinesque” type Romantic piano repertoire as Milivojević proves not only in the Bach but also by this superb rendition of the Mendelssohn and is therefore a welcome addition to repertoire playable on the accordion from that period from which, very little original repertoire exists due to the relative infancy of the instrument in the 19th Century. 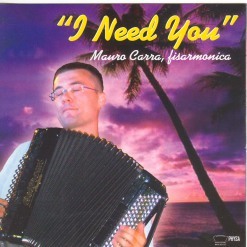 As long as the huge forces a large church organ is capable of are not required the accordion brings something fresh to Organ repertoire too in the more flexible dynamic ability the accordion has over the organ and this is clearly demonstrated in Milivojević’s extraordinarily sensitive playing. 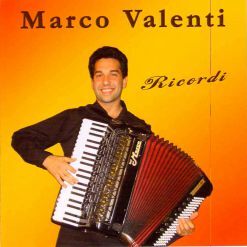 Modern accordion repertoire owes a lot to the Russian school and one can see why in the bleak and descriptive Vlasov Five views on Gulag state. Milivojević brings out the orchestral nature of this suite beautifully and is a master of the modern effects needed to do this work justice. 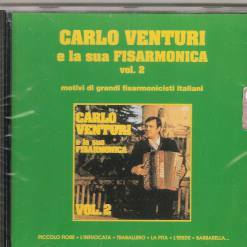 Sandwiched between Vlasov and that other prolific favourite of the Russian accordionists, Semenov (sometimes spelt Semionov or Semjonow) with his famous and extremely virtuosic Don Rhapsody is French composer Franck Angelis who has written many pieces for modern accordion like Semenov. 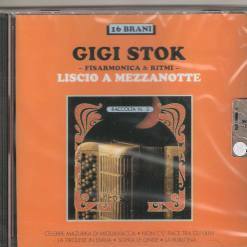 Milivojević is a superb interpreter and master of both these contrasting composers. 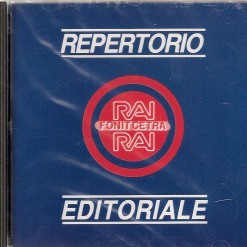 The Sarasate is saved though for the finale with the blistering Tarantella rounding off what is a really enjoyable and excellent album and shows what a mature musician Milivojević is, with extraordinary technical ability, sensitivity and good taste. .